Robin Grille is a psychologist in private practice and a parenting educator. He is the author of the internationally acclaimed: ‘Parenting for a Peaceful World’ and ‘Heart to Heart Parenting’. Robin has delivered his seminars and workshops around Australia, New Zealand, USA, UK, Canada and Indonesia. His experiential, skills-based and informational parenting courses have helped many people to embrace parenting as a transformative, personal growth journey. Robin also runs workshops about behavioral boundaries, empathy, motivation and vocation for teachers in early childhood through to high school. Drawing from 28 years’ clinical experience and from leading-edge neuropsychological research, Robin’s seminars and courses focus on healthy emotional development for children; while building supportive, co-operative parenting and education communities. Robin’s work is animated by his belief that humanity’s future is largely dependent on the way we collectively relate to our children. Patrick has a significant and extensive track record of educational leadership. He currently holds a senior executive regional role within the NSW Department of Education under the Macquarie Park network of Department of Education government sector of schools. Working directly with school executive and network directors to support complex case student management and implementation of educational reform at a senior governance level. His teaching experiences range from HSC senior PDHPE to Head Teacher Welfare and of Support Unit sectors of Chatswood High School, based on the lower north shore of Sydney. Patrick also leads a major Australian based charitable and educational foundation, operating development initiatives within the country of Nepal as the founder and Chief Executive Officer (CEO) of The Centre for Learning and Children’s Rights, (CLCR). Since 2006 he has led this organisation as CEO in the development of significant educational initiatives and projects in Nepal. During this period he lived in the country for a number of years to start a school, Heartland Academy. Heartland runs from pre-school, primary and secondary level and now possesses a higher education tertiary college for over five hundred students and ninety staff. This is a significant leadership position which has involved major programs of professional development, working in partnership with the Australian Department of Foreign Affairs and Trade (DFAT) and the implementation of high level education policy and curriculum. As well as consultation with the Nepali government’s Ministry of Education. Heartland Academy has pioneered non-violence, democratic and student centred education for over the past ten years, with many of these practices learnt first hand as a former Currambena student. Dr. Rebecca English is a researcher, teacher and mother whose work is concerned with parenting and education. She has an interest in and her work also explores questions of how parenting practices and beliefs are enacted in families and lead to parents making certain choices for their children. Rebecca asks questions about how families enact power and agency decision in their lives and choices around education. Her particular interest is in the choice of non-mainstream education, especially democratic schools and home education and how these choices affect children’s experience of agency and autonomy. Rebecca has been teaching for 20 years. She has worked with a number of different schools teaching in the senior-secondary and middle years. She currently teaches English and integrated curriculum units at QUT. In 2016, she co-edited her first book, Gender Considerations in Online Consumption and Internet Use. She continues to publish widely in academic and popular press. She has been interviewed for television programs such as The Project, ABC Mornings and SBS/Vice's short productions as well as dailies including the Sydney Morning Herald, Courier Mail and various other publications. Michael Retzar is a researcher at the University of Marburg in Germany and writes his doctoral thesis on the practice of participation in democratic schools. His dissertation deals with challenging aspects in democratic schools: Michael Retzar investigated internal power struggles between pupils who promote their interests offensively and teachers/headmasters who defend their powerful dominant position in running the school. In addition to Democratic Education Michael’s research fields are Arts Education and rural schools. Anna is a children’s rights specialist, with a strong background in policy, programming, research and social work. Anna works with NGOs and large Government and UN agencies across Europe, Africa, and South East Asia to ensure children and young people are protected. She recently has been a part of a project which mapped the needs of displaced learners across South and South East Asia. Anna has over 6 years’ experience in working in child protection, social work and child rights. She has conducted mixed method research in Uganda, specifically focusing on how children cope with extreme adversity. Anna is a skilled researcher and well experienced in designing and conducting both quantitative and qualitative research projects. Pasi Sahlberg is a Finnish educator and author who has worked as schoolteacher, teacher educator, researcher, and policy advisor in Finland and has studied education systems, analysed education policies, and advised education reforms around the world. He has written and spoken widely about these topics, his book “Finnish Lessons 2.0: What Can the World Learn from Educational Change in Finland” won the 2013 Grawemeyer Award for an idea that has potential to change the world. He is also a recipient of the 2012 Education Award in Finland, the 2014 Robert Owen Award in Scotland, the 2016 Lego Prize, and Rockefeller Foundation Bellagio Resident Fellowship in 2017. He is a former senior education specialist at the World Bank, a lead education expert at the European Training Foundation, a director general at the Finland’s Ministry of Education, and a visiting Professor of Practice at Harvard University. He chairs the Open Society Foundations’ Education Board and is a member of the Governing Board of the University of Oulu and the International Council of Education Advisors (ICEA) for the Scottish Government. His recent books are “Hard Questions on Global Educational Change”, “Empowered Educators in Finland” and “FinnishED Leadership: Four Big, Inexpensive Ideas to Transform Education”. He is a professor of education policy at the Gonski Institute for Education, University of New South Wales in Sydney, Australia. Peter was appointed Principal of Templestowe College (TC) in 2009. It was a broken school with just 286 local students and 23 year sevens. Today TC has over 1150 students and was recently recognised as one of the most innovative schools in the world. As a person with dyslexia, Peter sees the world differently, and has spent his life challenging assumptions and conventions. Drawing on the latest research and his unique experiences at TC, Peter is committed to significantly improving the lives of young people by transforming the education system to equip students for times of exponential change. Peter is now heading the FSA group which is a group of like-minded member schools, committed to significantly improving the lives of young people around the world by transforming an outdated education system. Shen Wei is one of the newest graduates of Holistic School, a democratic school founded in Taiwan 24 years ago. She experienced the competitive Taiwan education system as ‘a good student’ for a short while, and was put in four different junior high schools in total. She joined Holistic at 13 and continued till 18. Wei is currently on her gap year. Wei published a book of prose last year as her graduation project, named ‘A Collection About Growth’. The book records six things that had played an important role on her way of growth, including love, friendship, family, and belief. Henry is Assistant Principal of Summerhill School and grandson of Summerhill founder A.S. Neill. He has recently been speaking in many places around the world to rave reviews. Henry was a pupil at Summerhill from the age of 3 to 16. Kamohelo Pepe Scott or Kamu, as everyone calls him, is a twelve year old boy. He is a kid born in Lesotho (Africa) who has grown up between Australia and Italy. In Sydney he has been a student at Currambena Primary School. He soaked up the principles and ideas of democratic education that are guiding not only his learning but his way of living. Having just finished primary school, he is enrolled at Lindfield Learning Village, an experimental high school in Sydney. Kamu reads a lot, from manga to novels, he is interested in science and math and he just discovered Slam Poetry, which he finds very powerful to deliver feelings and emotions. He plays piano and loves capoeira, a Brazilian martial art and dance as well as soccer and jujitsu. Bronte is 12 years old and just recently finished year six at Currambena Primary School. She started Currambena in preschool at the age of three. Since then, she really enjoyed being part of a democratic school and having a say in her education. She enjoyed the way her school was run and so was interested to learn about other democratic schools and their differences from Currambena. She is looking forward to being part of APDEC this year and getting to teach others about democratic education. Claudia is 12 years old and is in Year Seven at Riverside Girls High School. Her interest in democratic education comes from her nine years at Currambena. She loves acting and anything to do with drama, history and English. Currently, she is enjoying learning Spanish and her goal is to be fluent in five years. Her presentation will be about our beautiful conference location, Naamaroo. She hopes you enjoy it! Alice is nearly 11 and has been at Currambena since preschool. She is now in her final year in Wendy’s class before going to high school next year. She loves drama, piano and dance and has always loved public speaking! She chose to do a project on Currambena because she feels it has been a big part of her life. Alice feels that Currambena has listened to her and let her have choices and that this has given her the confidence she has today. Her brother and sister, cousins, auntie and uncle, and her mother all attended Currambena and now her Mum is actually teaching at the school. 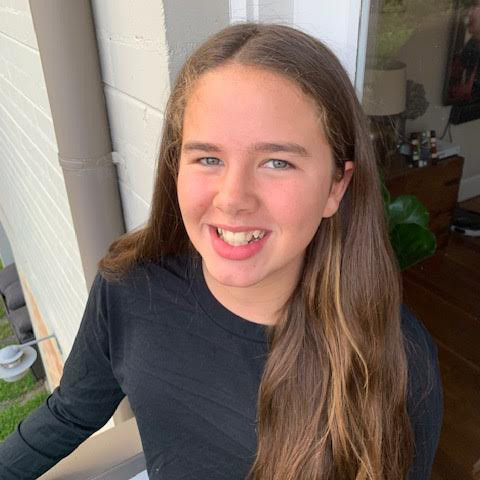 Alice felt she wanted to know more about the history and philosophy of the school so that she had a deeper understanding of what makes Currambena the best school in the world! 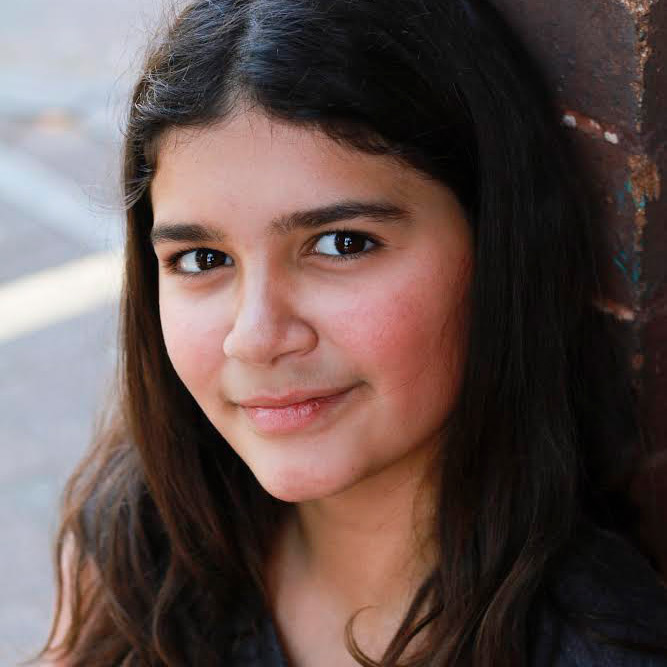 Valeria is 12 years old and went to Currambena Primary School. She loves drawing, singing and dancing. She is going to speak about dyslexia at APDEC because she has it and wants more people to learn about it. She thinks it’s very interesting theme to talk about.